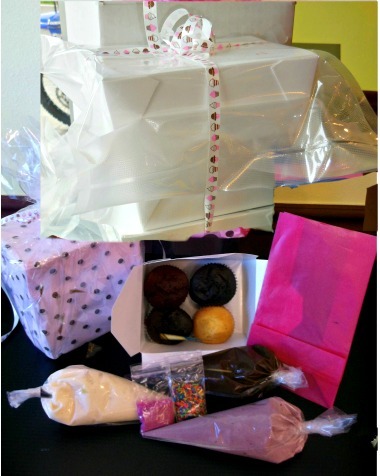 ‘Decorate-it-yourself” kit with everything needed to frost cupcakes. Package includes 3 Vanilla, 3 Chocolate, 2 Red Velvet with Chocolate and Vanilla Buttercream Frostings. 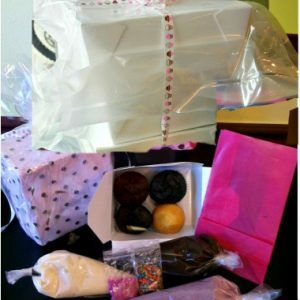 Cupcakes are vacuum packed to maintain freshness.